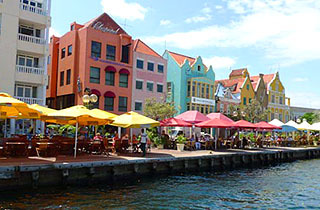 Curaçao is part of the ABC Islands (Aruba, Bonaire and Curaçao) of the Netherlands Antilles. It's the place to go if you want to find sun-drenched beaches, world-class diving and people speaking Papiamento. It's also the place to go to find real rum that has been blended for generations. Angelo Leanez is a third generation rum man. He's in charge of blending Kilo Kai Rum. And we couldn't be happier. Angelo has a healthy obsession with rum. He's a perfectionist and takes his rum very seriously. Angelo makes sure either he, or a member of his family, is personally involved in every step of the blending process. Only in this way can Angelo feel confident that every batch of Kilo Kai Rum lives up to his impossible standards. The Leanez family is not just famous on Curaçao for being liqueur and spirits producers. To acknowledge all they have done for the island, Angelo's grandfather and father were knighted by Dutch royalty. 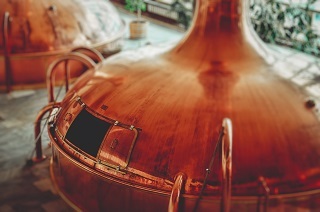 Kilo Kai is only produced in small batches: about 1,000 liters at a time. Compare that to the 20,000-liter batches of some rum producers, and you can begin to see why Kilo Kai tastes so good. The smaller batches allow Angelo to better control the quality and flavors of the young, temperamental spirit. Kilo Kai is a blend of rums that have been aged 1 to 3 years, and we never ever add any grain neutral spirits, like lots of producers do. Angelo uses young spirits because the natural spices would overpower more mature rum. All rum comes from sugar cane, but not all rum tastes like Kilo Kai. You will smell and taste the scents and flavors of Curaçao, and the storied Leanez family touch. It's the thing of legends. Sip Kilo Kai and you'll taste what we love and want to share with you. Vanilla beans. Cinnamon sticks. Nutmeg. This is real rum. This is Kilo Kai.